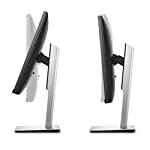 The Acer S240HLBID looks like a very standard 24″ monitor. With a 60hz refresh time and TN panel that reports a 5ms response time I’m not sure this screen has a lot to offer discerning gamers. If you require modern features such as adaptive sync or high refresh rates then you’ll need to save up a little further to buy something that you’re going to be happy with. The Acer should be considered a budget model, it would only be an upgrade if you have yet to move to HD and you’re still running an old flat screen monitor. It would still make for a cheap replacement if the monitor bundled with your PC has failed. The Acer seems like a bog standard PC monitor to me with little to set it apart on first glance. Delving into the specs doesn’t really excite me any further. There’s nothing particularly wrong with it and given the price you may be satisfied with what you get. 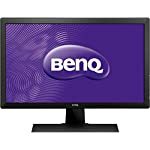 If you are upgrading from an older smaller monitor then this might impress. Moving to a 24″ monitor will always seem like a positive step forward. It won’t compete with a high spec monitor though. The monitor has a good range of inputs, but only one HDMI port. Personally I’d rather have multiple modern inputs and leave out the older VGA, but this is an ageing model now so it is understandable. Still, the HDMI port makes it a viable buy. A 5ms response time for a TN panel seems under par to me but to be fair this is quick enough for gamers. The 1080p resolution shouldn’t be a challenge to modern graphics cards but you won’t benefit from new technology like adaptive sync. Owners of the screen seem to be happy with what they got. Just don’t go expecting the same quality as a premium monitor and you’ll be OK.
We give the Acer S240HLBID a 4.5 out of 5 rating. Want to know what existing owners of the monitor think? You can read real user reviews here. 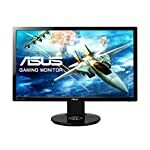 Should I buy the Acer S240HLBID? 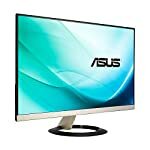 A standard 24" screen which might serve well for anyone looking for a cheap replacement whilst saving up for something better. It does a good job for the money but there is better out there. If you are having some doubts about this purchase then why not read some real owner reviews and see what other buyers think.